The Interpreter pattern interprets a language to define a representation for its grammar along with an interpreter that uses the representation to interpret sentences in the language. 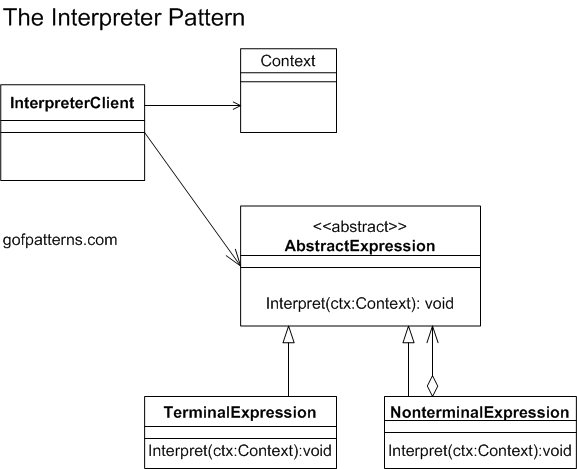 The following diagram illustrates the Interpreter pattern. Interpreter Pattern contains the TerminalExpression and NonterminalExpression class that inherit from AbstractExpression. The grammar of the language is simple. Efficiency is not a critical concern.